With the electric vehicle market showing no signs of slowing down, there’s now such an array of EVs and PHEVs to choose from. With having moved into the second part of 2018, we take a moment to draw insight from the year’s top 5 trending EVs and PHEVs of the past seven months*. With some interesting cars bagging a top spot, we’ve broken down the first five by each category. Data gathered from UK car registrations from 1st January 2018 to 31st July 2018. 1 — Coming in on top is the Nissan Leaf with over 2,900 UK registrations. The new 2018 model, with its 40 kWh battery pack, now carries a range of over 200 miles. With this second-generation Leaf, Nissan hoped to lessen range anxiety and persuade more drivers to make the switch with this greatly improved range capability. 2 — In second place is the BMW i3 with just shy of 900 UK registrations. This EV boasts impressive acceleration from 0 to 62mph in 7.3 seconds, fantastic agility as you would expect from a BMW and highly praised interior design. The range from its 33 kWh battery allows for in excess of 200 miles (with its optimal range extender). 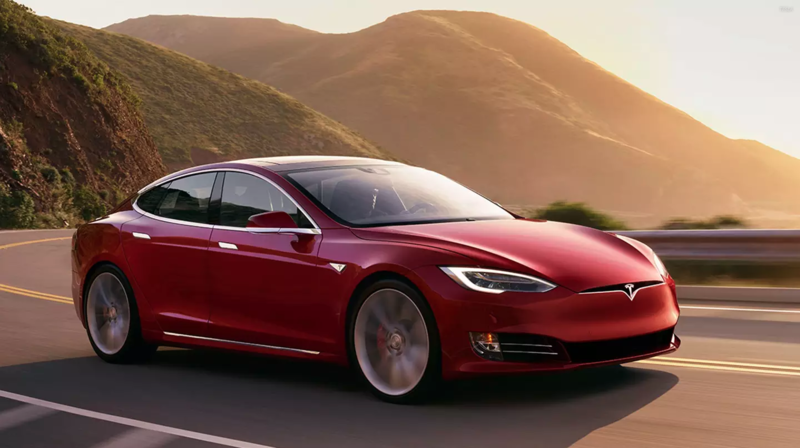 3 — Coming in third place is the Tesla Model S with over 680 UK registrations. It was the first of the car models that Elon Musk released and the Model S topped plug-in electric car sales worldwide both in 2015 and 2016. With arguably the quickest acceleration out there commercially (0 to 60 in as little as 2.5 seconds) and a range of over 335 miles which far exceeds its nearest rivals, it's easy to see why. In more recent years, more affordable EVs with ever-increasing range have entered the market which may in part explain this placing in the trending table. 4 — Hot on Tesla’s tail in 4th place we have the Renault Zoe with over 660 UK registrations. Last year, the Zoe was recognised as one of Europe’s top-selling EVs for the third year in a row. With its new 41 kWh battery, Renault claims a range of 250 miles and customers have the option to either buy or lease their battery, with the lease option considerably reducing the vehicle’s purchase price. All in all, the Zoe offers an impressive, compact package at an affordable rate – putting EVs within reach of a much wider demographic. Good job Renault! 5 — In 5th place is the Hyundai Ioniq Electric with over 380 UK registrations. With its 28 kWh battery, the Ioniq Electric has a shorter range than some of its rivals of up to 174 miles. However, it's capable of fast charging to 80% in 30 minutes using a 50 kW DC rapid charger so you’ll be back on the road in no time. The Ioniq is an example of another affordable EV and boasts a competitive starting price. 1 — Bagging top spot in the PHEV arena is the popular Mitsubishi Outlander with 3,100 UK registrations. It’s so popular, that Autocar’s 2018 review of the model reported that it accounted for a staggering 50 per cent of vehicle sales within the EV and PHEV sector! The Outlander possesses an electric range of 33 miles and despite its size, its green credentials still qualify the car for the government plug-in car grant. 2 — In second place is the BMW 330e with just over 2,300 UK registrations. Following on from the i3 and the i8, BMW’s plug-in hybrid 3 Series hit the UK in 2016, putting its cutting-edge, plug-in power within one of its higher-volume models. The 330e will travel around 25 miles on full-electric mode. 3 — With another BMW featuring in the top 5, BMW have performed well in the PHEV space! The BMW 530e comes in at third place with over 1,800 UK registrations. This BMW was in fact a runner-up in the World Green Car category at the 2018 World Car of the Year awards. Taking the format of the successful 330e model, BMW launched the 530e with a slightly increased electric range of 29 miles, adding another popular model to its electrified offering. 4 — In fourth place, we have the VW Golf GTE with over 1,400 UK registrations. So unprecedented was its popularity by Volkswagen bosses, that they’ve had to close ordering on their website! The manufacturer advertises a pure electric range of 31 miles but you’ll have to hang on before getting your hands on one as the manufacturer catches up with all existing orders. 5 — In fifth place is the Mercedes C350e with over 1,100 UK registrations. The C350e enjoys all the visual delights of the Mercedes C-Class range with an all-electric range of around 19 miles. That just about sums up our chart-topping EV and PHEV look-in for the first half of 2018! Whether you’re curious to see whether your car made the top-spot, or if you’re in the market for electric vehicle, we hope to have painted an interesting picture of the top-trending cars on the market today. Explore our home charging packages, click here.